Thanks to an equally exceptional weight/power ratio of just 2.13 kg/cv, the 458 Speciale can sprint from 0 to 100 km/h in a mere 3.0” (0-200 km/h in 9.1”) and also clocked a lap time of just 1’23”5 at the Fiorano Circuit. 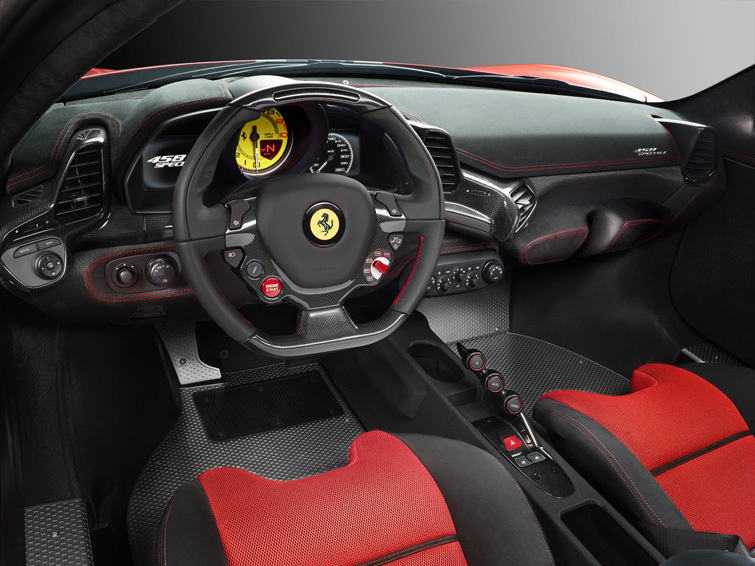 The technology used in the vehicle dynamics subsystems which gives the driver instant confidence and control at high speeds, natural power oversteer management and precise response to commands are further advances in an area in which Ferrari is already a well-established leader. 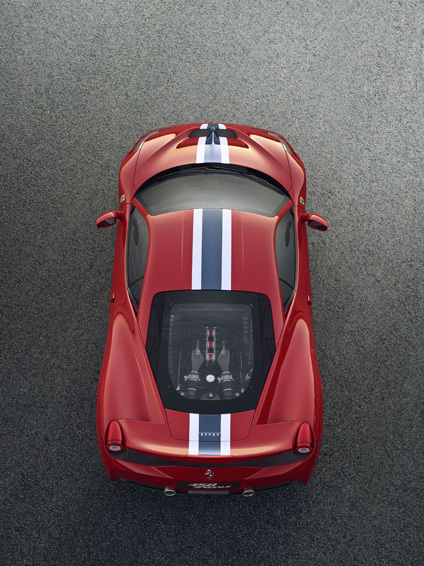 One of the most innovative content of the 458 Speciale is the Side Slip angle Control system (SSC) which makes it easier to achieve car control on the limit, thereby greatly improving driving emotions. Thanks to the development of an accurate new algorithm SSC performs instant-to-instant analysis of the car’s side slip, comparing it with the target value and then optimising both torque management (via integration with F1-Trac traction control) and torque distribution between the two wheels (via integration with the E-Diff electronic differential). Part and parcel of the car’s development included Michelin Pilot Sport Cup2 tyres which were specifically honed for it in an intensive collaboration programme involving, amongst other factors, numerous track test and simulator sessions. 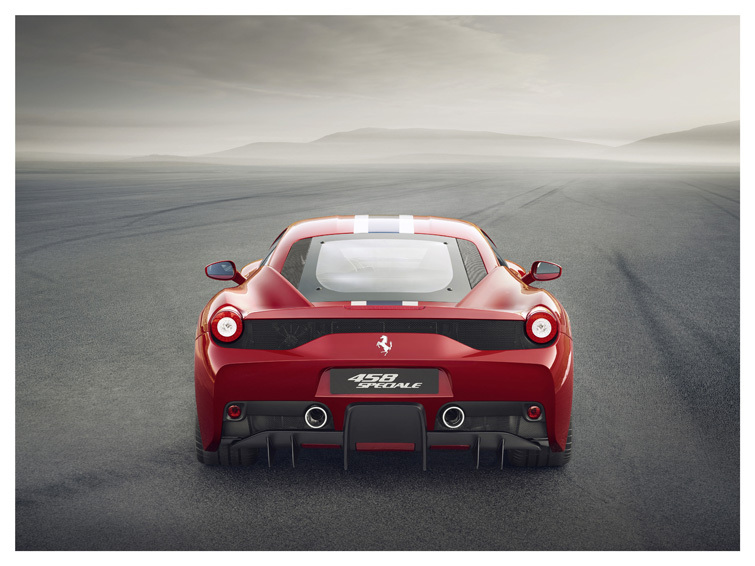 Conceived for the 458 Speciale, they boost performance over a single lap in the dry as well as improving performance consistency in subsequent laps. They also allow the car to avail of maximum available grip in the wet. 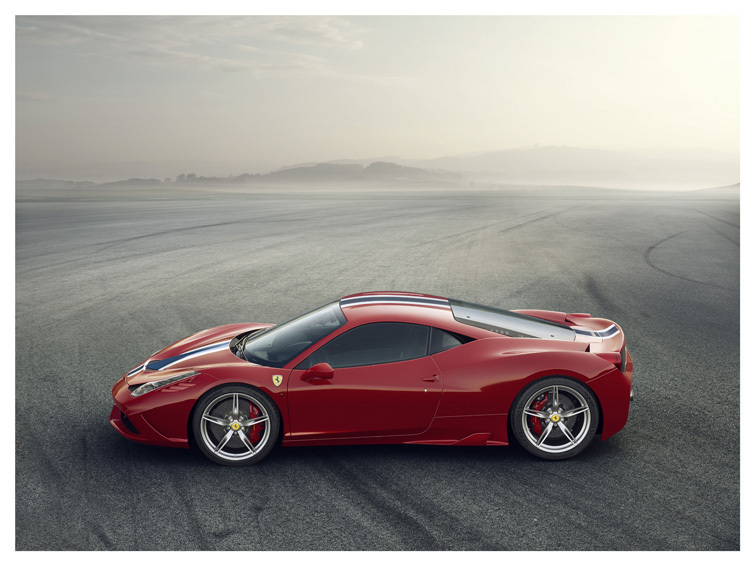 The above mentioned technical content has improved the 458 Speciale’s single lap time and also delivers repeatability of that performance on subsequent laps that is absolutely unprecedented for a car not designed exclusively for track use. 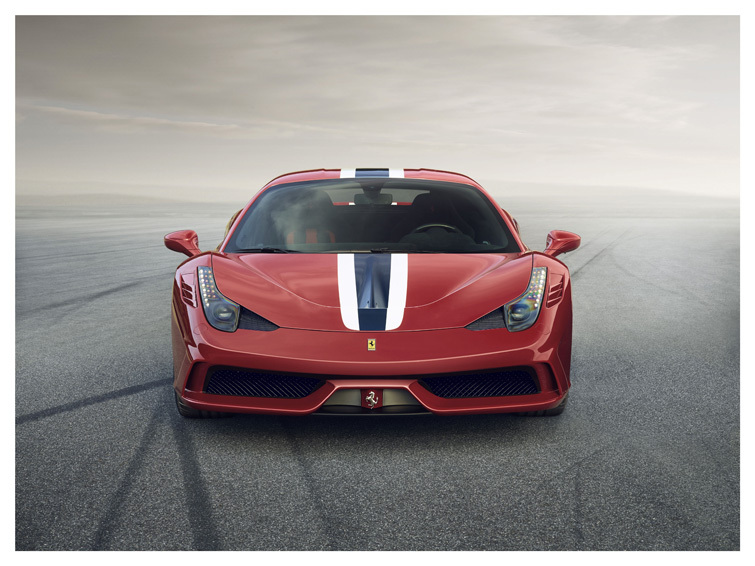 The result is that the 458 Speciale has the fastest response time (0.060 s) and highest lateral acceleration (1.33 g) ever achieved by a car in the Prancing Horse range. 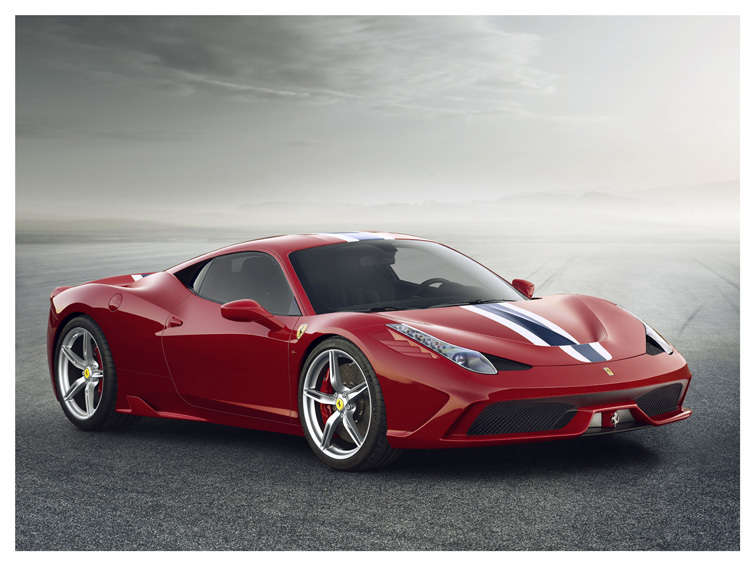 The 458 Speciale will receive its public world debut at the Frankfurt International Motor Show in September.